Update 3/27: The Senate’s marathon “vote-a-rama” ended this morning without a vote on the Hatch and Flake amendments. Original Post 3/26: Yesterday two U.S. senators offered amendments to the Senate’s federal budget resolution that, if enacted into law, would significantly change how the federal government funds housing programs for low-income rural families. USDA Section 502 Direct Homeownership Loans, offered to low-income rural families to help build or purchase a home. USDA Section 523 Mutual and Self-Help Housing Grants, provided to local housing organizations in rural areas to help families construct their own homes. HUD Self-Help Home Ownership Program, providing grants to intermediaries to acquire land sites in both rural and urban communities for sweat equity housing projects. Habitat for Humanity and other charitable organizations are common recipients of these grants. 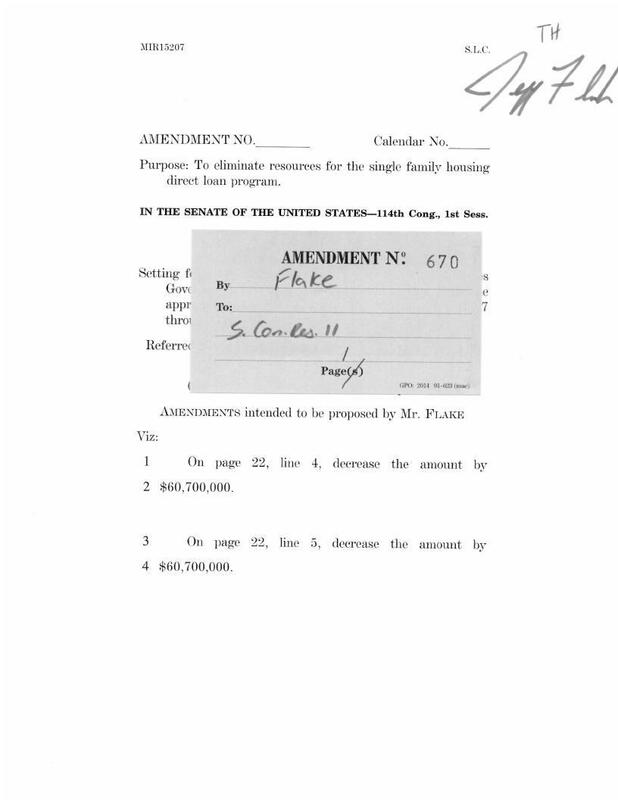 Meanwhile, Senator Jeff Flake of Arizona has specifically focused Amendment #670 on the 502 Direct Homeownership Loan program, proposing to eliminate its funding entirely. Rural families who earn less than 80 percent of their area’s median income are eligible for the program, and the average family receiving a 502 Direct Loan earns less than $29,000 a year, according to the National Rural Housing Coalition. Loans are subsidized at as low as one percent, and loan terms can reach as long as 38 years in order to accommodate low-income families. The 502 program costs the federal government less than many other housing programs, at an average of $9,000 over the life of the loan, or $272 per year. And the program has proven popular, with an average waiting list of 12,500 loan applications over the past five years. Amendments to the Senate’s budget resolution are non-binding, but can later affect appropriations in the federal budget. Senators began to vote on amendments this morning and are expected to conclude by tomorrow. This entry was posted in National issues and tagged Congress, HUD, Rural housing. Bookmark the permalink. Thankfully these offending Flake and Hatch amendments were not included in what the Senate passed early this morning!! Thanks for the update! I’ll update the post. The best way to make housing more affordable is to enable people to make more money — and keep more of what they make. These Big Government programs never help the people they were supposed to help, just the cronies of the legislators.